Heavenly Father always knows where you are physically, mentally, emotionally, and spiritually. You are never lost to Him. 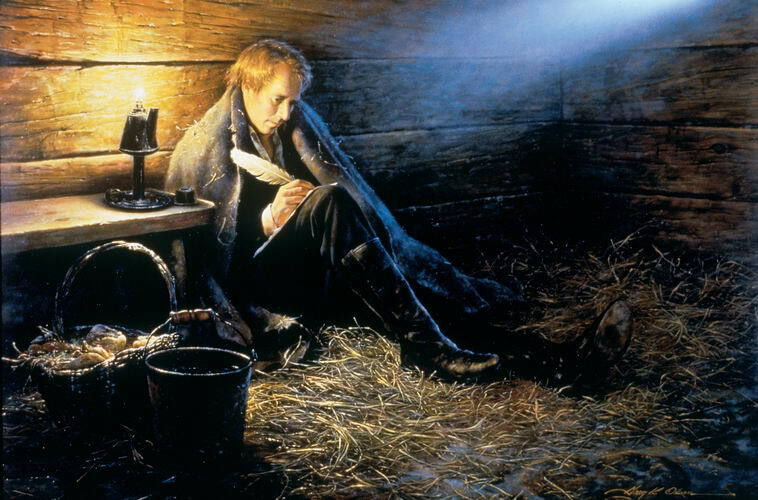 Even Joseph Smith, the Prophet of the Restoration, has felt incredible loneliness and feared Heavenly Father had turned away from him. But Heavenly Father had not abandoned Joseph or the early saints; He could see the bigger picture and had a plan. The same goes for us. However, Joseph had to pray to Heavenly Father first, then Heavenly Father answered. The same also goes for us. I have felt this way before too. I have asked Heavenly Father if he is still there, aware of me. “Why Me?” has escaped my lips before. I have even expressed to Heavenly Father my frustration in praying for strength to endure the same situation over and over again when I just want it to be fixed! And Heavenly Father has answered those prayers, not always in the way or timing that I want or expect, but He did and still does answer. He has been mindful of me, and he loves me. I know he feels the same about you. It’s common to feel lost in the world. Maybe you feel lost in your family. Maybe you feel lost in your ward. You might feel lost at work, or school, or even in your own home. But you are never lost from Heavenly Father. He knows where you are. He knows who you are. He knows where you are going, and He knows how to help you. Turn to Him, and you will find Him. Have you felt lost, and then found God’s love and guidance? If you feel comfortable doing so, please share your experience and testimony in the comments. I love the comfort in knowing that Heavenly Father knows when we are going through these trials and never leaves us in our deepest hour. I have felt lost in recent months, but I’ve never forgotten that HF knows where I am, so I usually pray for strength and guidance to get through whatever is troubling me. Being older and more experienced is a good thing! I remember President Hinckley saying something to the effect that the brethren have seen it all by the time they get to old age so not much surprises them. I’m getting there.